Updated Monday June 18, 2018 by Matt Woodard. 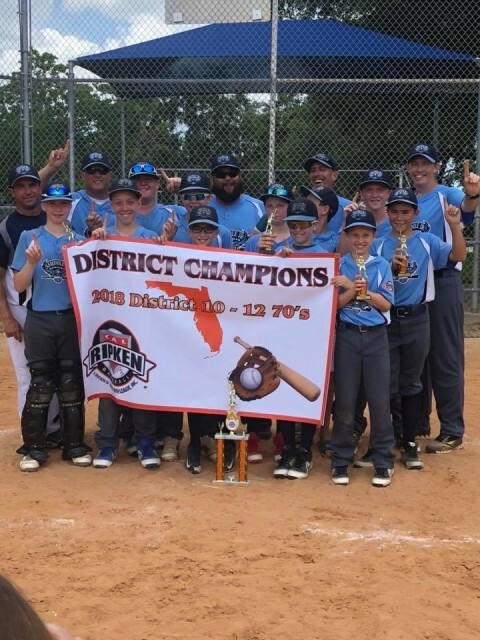 Congratulations to our 12U Major 70 All Star Team for winning the District 10 Championship this weekend at Northwest. The team competed in a field of four teams from our district and came out on top of the host NW team to bring home the Championship. This is the first Cal Ripken District 10 All Star Championship for Seminole Jr. Warhawks Baseball. We are so proud of the team and they way they played! The team will now move on to compete in the State Tournament which will be held at East Bay beginning on July 6th. Congratulations boys and good luck in the State Tournament!